Which golfer is most likely to claim the green jacket at the 2019 Masters? And where does Tiger land on our list? SI.com ranks every player in the field, from 87 to 1. The best week in golf is here—and SI.com has the breakdown to get you ready. 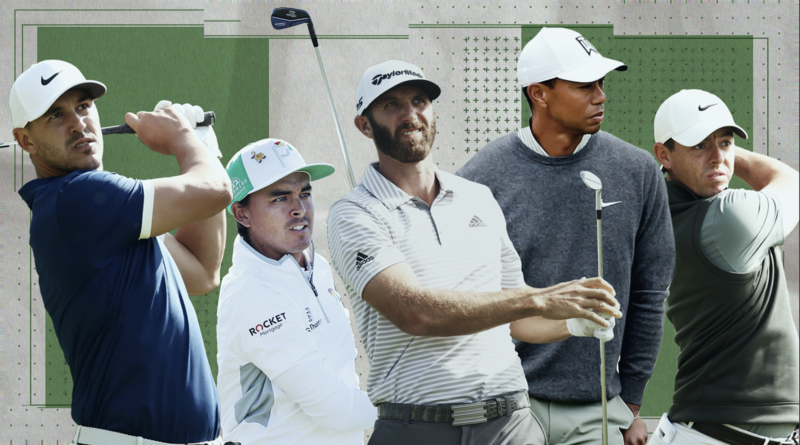 With the 2019 Masters set to tee off Thursday, we've ranked every golfer in the field from least likely to win to most. While he isn't the favorite, there will be plenty of eyeballs, per usual, on Tiger Woods at Augusta National. 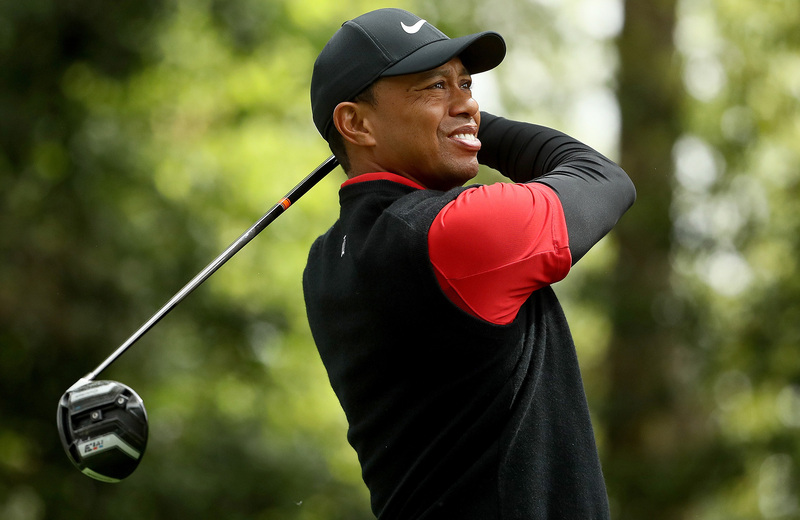 Tiger hasn't won a green jacket since 2005, but he's lurked on leaderboards in recent years and has finished T8 or better in 13 of his 18 professional Masters starts. He has a realistic chance to win, even if this year's field is unusually loaded with top players riding hot hands. As for the rest of the players, there are several big names trending upward and downward leading into action this week, including the red-hot Rory McIlroy and the still-sputtering Jordan Spieth. SI.com will have all of the 2019 Masters coverage you need, but to get the week started, let's dive into the rankings. The 1991 Masters Champion hasn’t made the cut at Augusta since 2008 and is a combined 111 over par in his last 10 Masters starts. Two-time major winner won the green jacket in ’88 and remains active on the PGA Tour Champions. Has an impressive eight top-10s at Augusta, including the green jacket in ’94 and ’99. Booked his ticket to Augusta via a runner-up finish at the 2018 U.S. Amateur, but the UCLA sophomore hasn’t finished better than T10 in any college event this year. Played collegiately at UNC, then spent three years on mini tours before taking a job at an investment firm. Won 2018 U.S. Mid-Am to get into the field and plans on turning professional again after the summer. The 2003 champion has played in five Web.com Tour events this season (MC-T41-T35-MC-MC), ostensibly with an eye toward readying himself for the senior circuit. Graduated Arkansas last summer then won the Latin American Amateur to get into the field. The Mexico native is No. 70 in the world amateur rankings. His chip-in to win in 1987 is one of the most famous shots in Masters history, and he’s impressively made three of the last five cuts. Auburn junior, the No. 45 amateur in the world, became the first South African to win the British Amateur in 52 years last summer. The 2009 champ was ranked No. 273 when he lost a playoff to Adam Scott in 2013, so an out-of-nowhere run isn’t totally out of the cards. Youngest player in the field, who earned an invite by winning the Asia-Pacific Amateur, is the world’s No. 7 amateur. John Deere Classic champion has missed 13 of 18 cuts since his victory, including eight straight to start 2019. Sweet-swinging 2008 champion splits his time between playing and commentating these days. Hard to believe he’s only 39 years old. Won the first event of the wrap-around season (Safeway Open) but has struggled since, missing the cut in each of his last six starts. In hindsight, his victory at the 2000 Masters kept Tiger from completing the Grand Slam. Had a realistic chance to become oldest winner in PGA Tour history at last month’s Honda Classic, finishing three strokes off the lead. The 5’7” Texan has just one top-10 finish since he won the Valero Texas Open last April. The 2009 British Open champion will be back at Augusta for the first time since 2014 by way of his T4 finish at last year’s PGA Championship. Has missed his last three cuts. Only top 10 since winning the Sony Open in 2018 win came at the limited-field Sentry Tournament of Champions in January. Pulled off the biggest upset of the season when, as the world No. 417, he beat Phil Mickelson to win the Desert Classic. Has missed eight of 12 cuts on the season. Last week was out-of-a-movie-like stuff for the Canadian. He won a six-for-one playoff just to get into the Valero Texas Open, then he won the darn thing to secure the 87th and final Masters berth. Winner of last year’s RBC Heritage ranks 206th out of 215 qualifying players in strokes gained overall. Two-time major winner is in the last year of his five-year Masters exemption for winning the 2014 U.S. Open, which he won by eight. It was also his last victory on any tour. The 2016 Rookie of the Year from Argentina ranks 11th in strokes gained approaching the green but 191st in strokes gained around the green. The reigning U.S. Amateur champion and Oklahoma State junior, from Norway, has three college wins this season. World's No. 3 amateur took T40 at Bay Hill in March. Boom Boom is 59 in age only—his syrupy swing is as pure as ever and he’s still the coolest dude out there. Continues to play well on the senior circuit and has five top-20 finishes at Augusta since turning 50. Sweet-swingin’ South African birdied the last four holes to win the 2011 Masters, but he recently dropped out of the top 100 in the world rankings for the first time since 2008. The Champions Tour’s top dog entered the final round of the 2016 Masters just two behind the lead—at 58 years old!— before closing with a 79. Two-time Masters champion (1985, ’93) is averaging just 268.8 yards off the tee this year; you have to wonder if the beefed-up Augusta is a bit much for him, but he still might be the field’s best player over 50. Winner of last year’s order of merit on the Japan Golf Tour received a special invite to the Masters—he would not have qualified otherwise. Has missed six of eight cuts in full-field events this year. Won the European Tour’s Abu Dhabi event to jump back into the world top 50, but has missed the cut in all three of his full-field PGA Tour starts since. Reigning Rookie of the Year won the 2018 AT&T Byron Nelson and was the only first-year to make the Tour Championship. Harding summoned the best golf of his career—winning the European Tour’s Commercial Bank Qatar Masters the finishing T2 at the Magical Kenya Open—just in time, as he’s one of two players (Shane Lowry) who qualified for the Masters by being in the world top 50 last Monday. The Dane has five European Tour wins and made a winning Ryder Cup debut at Le Golf National. Notched an impressive T6 in his first Masters, back in 2013, as a 23-year-old. Just 27 months after winning the 2016 Masters and cracking the world top 10, Willett found himself ranked 442nd in the world. Got back into the top 100 by winning the European Tour’s DP World Tour Championship in November. The 2014 PGA Championship winner has struggled in recent years after being diagnosed with Lyme disease in April 2017. Seems to always be near the early lead in majors—his opening-round 65 led by four after the first round in 2017. He wound up finishing T22. Finished solo second at last week's Valero Texas Open, his first top 10 anywhere since 2017. Continues to have his best success on the European Tour, as he missed his last two cuts in stroke-play events stateside. The Swede is struggling, plain and simple. He’s missed three of his last five cuts in stroke-play events, ranks 210th out of 216 players in strokes gained overall and has dropped from a career-high No. 8 to No. 30 in the world. His lower, left-to-right ball flight doesn’t fit Augusta well—he’s 17 over in his four rounds at the Masters. Na won his second PGA Tour event, and first in almost seven years, at the Greenbrier last summer. Historically a good putter, he ranks 180th in strokes gained on the greens this year. The intense Floridian had made 18 straight cuts before shooting 75-75 at the Valero Texas Open last week. Ended a six-year winless drought by beating Justin Rose in a playoff to win the BMW Championship in September. He ranks sixth in strokes gained approaching the green. 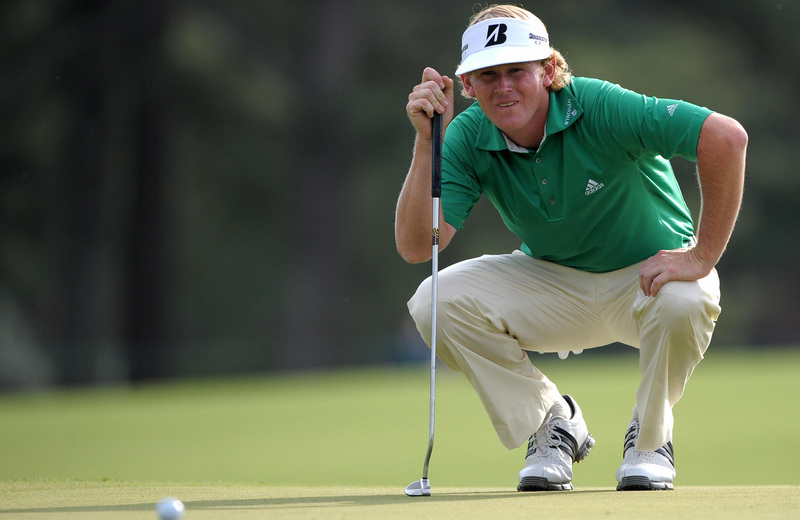 Snedeker may not have the length you’d like at Augusta, but he’s one of the best putters in the world, and that plays well there, too—he has three top-10 finishes at the Masters. Georgia alum stared down Rickie Fowler and Brooks Koepka to win his first PGA Tour event at last month’s Honda Classic, and ranks ninth in strokes gained off the tee this season. On one hand, the infamously deliberate Holmes won the Genesis Open on a major-caliber golf course (Riviera). On the other, he’s missed four of his last seven cuts. Famously won the '07 Masters by laying up on every par 5, and the course has only gotten significantly longer since. Related: he's missed two of his last three cuts here. 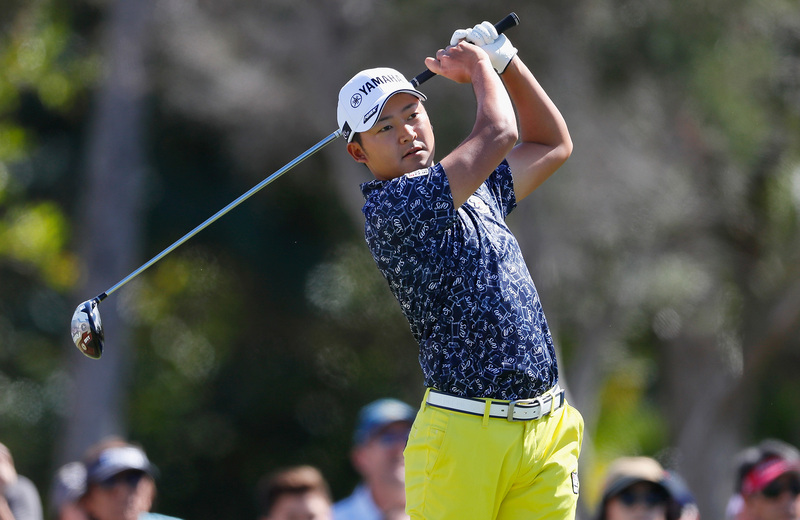 The youngest Players Championship winner in history had a fruitful West Coast swing, posting a T4 at Pebble Beach and a solo third at Riviera. He added another top-five finish at Valero last week, finishing in a slightly disappointing tie for fourth after a final-round 72. 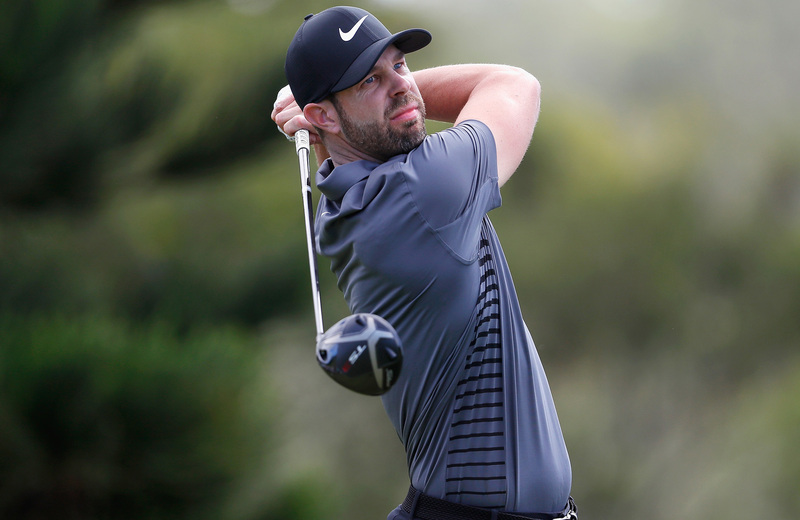 The mercurial Brit posted top 10s in the U.S. Open and PGA Championship last year, but has missed three of his last five cuts in stroke-play events. The casual fan likely first heard of the big-hitting Dane when he beat Tiger Woods in the quarters of the WGC-Dell Match Play. He also has two European Tour wins to his name. The lovable Thai player—nicknamed the Barn Rat—has four European Tour wins and finished T3 at the WGC-Mexico Championship. 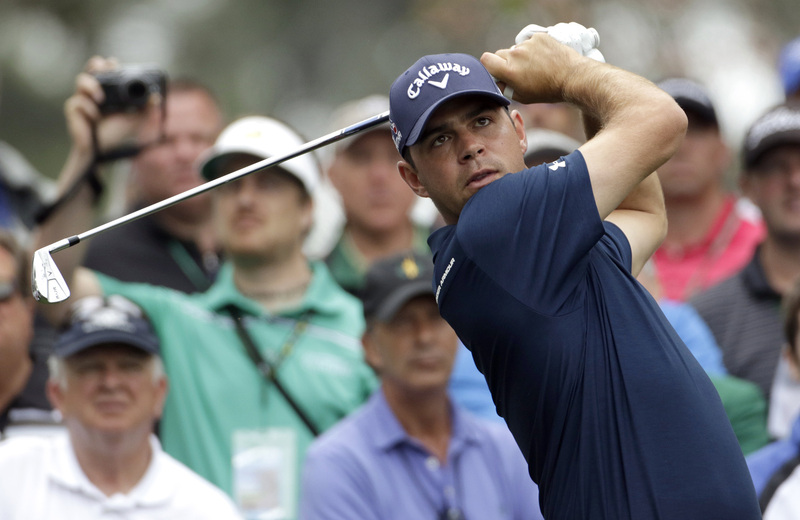 The Augusta native grew up playing Augusta Country Club, which is adjacent to Amen Corner. He will play in the Masters for the first time since 2012 by way of his RSM Classic victory (and a return to the top 50 in the world rankings). Last year’s Players champion hasn’t quite figured out Augusta National yet, and he’s been disappointing in his last two starts—missing the cut at the Valspar Championship and going winless at the match play. It’s hard to believe he doesn’t have a PGA Tour win when you watch him swing, but the Spaniard seems to always finish between 10-25 without ever really contending. He won three times on the European Tour last season, and many thought he’d be a captain’s pick for the Ryder Cup. He’s fared nicely during his first extended play in the U.S., including a T6 at Bay Hill. Possibly the funniest professional golfer—he said he shot a Sunday 67 while “a bit hungover” at the British Open—but his game does plenty of talking, too. Evidence: T3 at the Players. The only player to ever shoot 62 in a major, Grace finished T2 at the Waste Management Phoenix Open in February. Low-ball hitter has finished T6 or better at other three majors, but doesn’t seem to be the best fit for Augusta’s firm greens. The baby-faced Australian fired a final-round 66 at last year’s Masters to finish tied for fifth. Won the Australian Open in December and flashes a tidy short game. The five-time winner on the European Tour finished second last month at Bay Hill. Has shot 67 twice at Augusta. Quietly—can Ian Poulter do something quietly? !—Poulter has four top-six finishes worldwide this year, including a T3 at the WGC-Mexico Championship. He’s running out of time to win a major, but he does have three top-10s at Augusta. One of the best pure ball strikers on Tour, Cantlay ranks 25th in strokes gained off the tee, 28th in strokes gained approaching the green, 10th in strokes gained tee to green and 11th in strokes gained overall. His game seems to be tailor-made for majors, though he’s yet to pick up a top-10 finish in one of the big four. Oosthuizen bogeyed the playoff hole in 2012 to lose to Bubba Watson to come just short of winning his second major. He shot four rounds under par last year for a solid T12 finish and comes in riding back-to-back top-five finishes. The long-hitting Kansan has carved a niche as a consistent performer, and he found himself in the final group of last year’s PGA Championship. He ranks seventh on Tour in strokes gained driving, seventh in strokes gained tee to green and 17th in strokes gained total. He loves to shape the ball and vary trajectory, traits that are typically advantageous at Augusta. It's tough to explain the poor record at the Masters—he’s 21 over par over his last four rounds here. 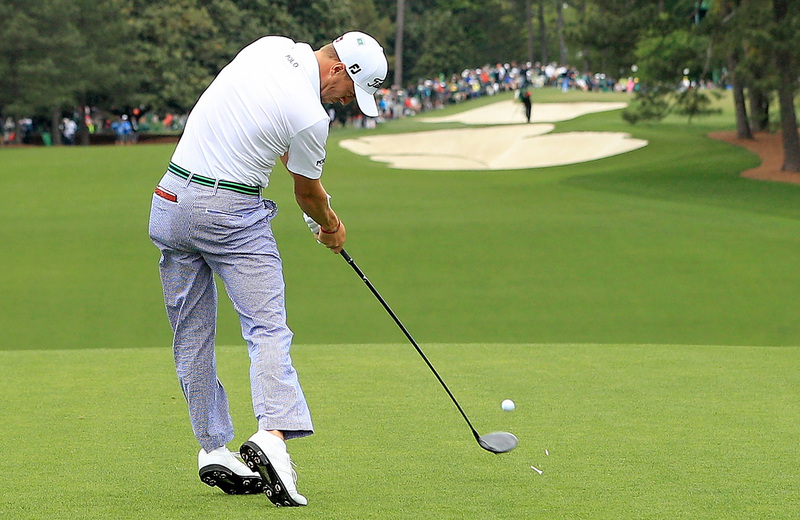 Stenson was very much a factor at last year’s Masters, where he put forth his best finish in his 13th start. Ball strikers tend to rise to the top at majors, and Stenson has a deserved record as one of the best on Tour. The 2019 results haven’t come just yet—four missed cuts, and his only top 10 came at the match play—but one stat in particular is intriguing: he’s third in strokes gained approaching the green. Stenson said at the match play that he’s hitting the ball the best he has all year, and the eye test corroborates that. Spieth has two contrasting narratives. First, his record at Augusta—quite simply, no one has played the course better in recent years. Twelve of his 20 rounds at Augusta are under par, including a preposterous five rounds of 66 or better. But we simply cannot ignore the curious slump Spieth finds himself in—no top 10s since the 2018 British Open, no full-field stroke-play finish better than T35 this season, no under-par weekends this year, 188th in strokes gained tee to green, 167th in strokes gained total. He’ll hope that familiar drive up Magnolia Lane will jolt his game into gear, and there were positive signs at the Texas Open, but Spieth’s game doesn’t look ready to contend for a major. Garcia missed the cut by nine strokes in his title defense last year, which included a 13 on the 15th hole. This year has seen Garcia, who seemed to have turned the maturity corner, engulfed in two childish controversies: being DQ’d in Saudia Arabia for purposely damaging greens and the Gimme That Wasn’t at the match play. On the course, the ball striking stats are good yet again this year, highlighted by ranking seventh in strokes gained approaching the green. He’s the defending champion, and he’s still ranked inside the top 20 in the world. But his last three stroke play rounds have been 78-77-75, prompting his wife Justine to bring swing coach David Leadbetter in to “Team Reed.” And before his victory last year, Reed’s scoring average over his first four Masters was 74.25. Ranks outside the top 100 in strokes gained off the tee, strokes gained approaching the green and strokes gained tee to green. Besides Tiger, no one in the field has had as much success at Augusta as Phil. Three victories, nine top-three finishes, 14 top 10s. He also already has a victory this year (at Pebble Beach) and a second-place finish (Desert Classic). So why is he ranked so relatively low? For one thing, the recent results at Augusta haven’t been as impressive—T58, T22, T36 in his last three goes—and his last two stroke-play events have ended in missed cuts. Plus, the stats aren’t sparkling, as he ranks no better than 44th in any of the key strokes gained statistics. The 2013 Masters champion is enjoying a mini-resurgence after dipping as low as 76th in the world last summer. (Incredible that someone who swings it as well as Scott can fall that low). His putter and putting method seem to always change, but he’s 17th in strokes gained on the greens this year. He still has great ball striking weeks, including leading the field in strokes gained approach en route to a solo second at Torrey Pines. With all that said, he has no wins anywhere since March 2016. The former world No. 2 has flown a bit under the radar this year, but he checks all the boxes you’re looking for at the Masters. High ball hitter? Check. Good record at Augusta? Check. In good form coming in? Check (T3 at Torrey Pines, T9 at Riviera, T8 at the Players). He also ranks second in strokes gained approach this season. A true sleeper. Finau had one of the more eventful Masters debuts last year—after an ace in the par 3 contest, he badly turned his ankle while celebrating…then shot 68 on Thursday and 66 on Sunday, on an ankle the size of a softball, to finish T10. He’s long enough to dominate Augusta’s par 5s and turn the course into a par 68, and his short game is deceptively good. The only blemish? No finishes higher than T15 this year. The smooth-swinging Aussie was in solo second at last year’s Masters before a mediocre weekend of 73-70 saw him drop to ninth. He already has a victory in the wraparound season (CIMB Classic in October) and three top-four finishes in 2019 but did miss the cut in his last stroke-play start. His flatter, left-to-right ball flight wouldn’t seem to be a natural fit for Augusta, but he’s obviously figured out how to navigate it. You know Jordan Spieth and Justin Thomas and Bryson DeChambeau, but there’s another 25-year-old American who has major championship wins in his future. Schauffele, as lowkey in demeanor as they come, is one of just two players with multiple wins on the season, the latter of which came via a course-record, 11-under 62 at Kapalua. Ranks fourth in strokes gained overall and, despite relatively modest frame, is sneaky long off the tee (302.7 yards). He’s absolutely good enough to win this week. The quirky American, with his single-length irons and funky hat and science-over-everything approach, went through a stretch a few months ago where he won four of nine starts. He also hasn’t missed a cut since last year’s PGA—a streak of 15 events. Had a hugely impressive Masters debut, finishing T21 as an amateur in 2016, but has yet to break 71 at Augusta. He has a tendency to play certain golf courses very well, and Augusta is one of them. Watson has showed flashes this year, finishing in the top five in Phoenix and Tampa, and ranks third in strokes gained off the tee this season. Has fiddled with putting technique this year—he’s going with the Matt Kuchar long-putter-glued-to-lead-forearm deal right now—and has struggled on the greens this year, ranking 167th in strokes gained and 210th in three-putt avoidance. Day looked to be inching back to his world No. 1 best in California, where he posted back-to-back top fives at Torrey Pines and Pebble Beach. And then the back started acting up again. Always the back. He withdrew from Bay Hill, then finished T8 at the Players, then missed the cut at Valspar and lost all three of his ties at the match play. He has a very, very solid history at Augusta, but between the back and the last two tournaments, there’s a lot to sort through here. Yes, he has four green jackets. Yes, he has 13 finishes of T8 or better. Yes, he’s healthy. Yes, he’s still a (the?) premier iron player. Yes, he contended at the last two majors. And yes, he’s Tiger Woods. But he hasn’t seriously contended at the Masters since 2011, and he hasn’t won here in 14 years. The Augusta Tiger did his damage on was a shorter, different test than what lies in store this year. Plus, the speed control on the putting greens has been very poor this year. The Masters has never been Tiger’s first win of the calendar year, and he doesn’t have a stroke-play finish better than T10 in 2019. Koepka feasts on majors—he’s won three of the last six he’s played in—but has been, in his own words, “out of sorts” since losing 24 pounds and 10-12 yards since November. He did finish T2 at the Honda Classic, but followed it up with a missed cut at Bay Hill, a T56 at the Players and a winless match play. Because of all that, he seems to be flying under the radar, even as he’s gunning for a third major in four tries. He’s been in the news for the wrong reasons—a certain caddie stiffing and the Gimme That Wasn’t—but Kuchar’s game is in fantastic shape. He has two wins on the season, finished second at the match play and seventh at last week’s Valero Texas Open, and leads the FedEx Cup. Kuchar also has a sneaky impressive history at Augusta, with four top-eight finishes, and he’ll be desperate to remove himself from the Best Player to Never Win a Major conversation. The major breakthrough feels like a when rather than an if, but he’s also looking for his first PGA Tour win, period. He's playing quite well, with a T3 at Bay Hill and T5 at the Players in his most recent full-field starts. It’s hard to believe he hasn’t notched a victory this season given his stats: fourth in strokes gained off the tee, fifth in strokes gained tee to green and fifth in strokes gained overall. So what gives? He’s struggled to avoid blow-up rounds on weekends. The fiery Spaniard—sound familiar?—played his final 54 holes at last year’s Masters in 14 under, better than anyone else in the field. He has six top-10 finishes in nine starts this year—not including the Players, where he closed with 76 to finish T12—and might be the best driver of the ball in the world. Consequently, he makes birdies in bunches, always a nice thing at majors. A big challenge for Rahm will be keeping composure on a track that has a knack for making the world’s best question themselves. Casey won three weeks ago at the Valspar Championship, and that was hardly an out-of-the-blue performance. Two starts earlier, he finished T3 at the WGC-Mexico Championship. He also picked up a solo second at Pebble in February. As far as this tournament goes, eight of his last 16 rounds at Augusta have been in the 60s, and he’s finished in the top six in three of this last four Masters. At 41, he’s running out of realistic chances to win a major, and his best look will likely be at Augusta. This is probably the first time you’re hearing this, but Rickie Fowler has not yet won a major. He came really, really close here last year, when he shot 65-67 on the weekend—including a birdie on the 72nd hole—but came up one shot short of Patrick Reed. Picked up the fifth win of his PGA Tour career at February’s Waste Management Phoenix Open and finished T2 at the Honda Classic two tournaments later. Posted three rounds in the 60s at last week’s Valero Texas Open but didn’t have to go through the mental exhaustion of being in contention. That’s ideal for the week before a major. The world No. 5 hasn’t won yet this season, though he does have a solo second and two solo thirds. Statistically, he’s been one of the best players on Tour: first in scoring average, first in birdie average, fourth in strokes gained approaching the green, 10th in strokes gained around the green, fourth in strokes gained tee-to-green third in strokes gained overall, eighth in greens in regulation…we could go on here. His Masters history is a bit bleh, as he’s only shot one round in the 60s in 12 tries. But as Reed showed last year, having a strong history at Augusta isn’t a pre-requisite to a green jacket. And with nine wins and a major already to his credit, he’s shown that closing the deal is not an issue. Something clicked before Memorial Day weekend last year, and since then, Molinari has been one of the five best players in the world. Most intriguingly, he’s flipped the narrative from a nice ball striker who doesn’t win often to a cold-blooded killer who doesn’t flinch while his opponents shiver. The reigning Open champion shot 64 to win at Bay Hill and finished third at the match play in his last start, his only loss coming to eventual champion Kevin Kisner. He has as many rounds in the 80s at August as the 60s—one—but it doesn’t feel fair to compare the Molinari of the last 11 months with the Molinari of the 35 years before that. Rose raised some eyebrows when, after maybe the best year of his career, he switched from Taylormade to Japanese manufacturer Honma, but the results speak for themselves. A model of top-level consistency, he’s got 10 top-10 finishes in his last 14 worldwide starts, including two wins, two seconds and two thirds. He’s never missed the cut at the Masters and was in great position to win the 2017 tournament before Sergio happened. Feels like a virtual lock to finish inside the top 10. Only snag here is statistical: he’s just 60th in strokes gained off the tee and, while greens in regulation is a flawed stat, it’s still not great to rank 165th on Tour in it, like Rose does. He’s spent 86 weeks as the world’s top–ranked player and he reached the 20 win milestone by winning a WGC by five—and finishing 10 clear of third—but it still feels like he’s underachieved. Why? Only one major championship to his name. He gets another chance to add to his Hall of Fame résumé and, underwhelming match play aside, he enters in characteristically good form: two wins in 2019, four straight stroke-play top 10s, fifth in strokes gained tee to green, second in strokes gained overall and, perhaps most impressively, 13th in strokes gained putting. After an unimpressive first five Masters, he seems to have figured Augusta out nicely. McIlroy is the best player in the world right now, full stop. Despite losing to Tiger at the match play, he still hasn’t finished outside the top 10 all year, and he’s finished T6 or better in each of his six stroke-play events. That includes the Players Championship, where McIlroy beat the best field in golf to emphatically assert himself as the man to beat at Augusta. He leads the Tour in strokes gained off the tee, strokes gained tee to green and strokes gained overall. His high, right-to-left ball flight is tailor made for Augusta, so it’s not surprising that he has five straight Masters top 10s. McIlroy always deals with pressure here, as a green jacket is the only thing standing between him and the career Grand Slam, and that will be heightened this year. Still just 29, he’ll have plenty of more chances even if it doesn’t happen this week. But he may never enter a Masters playing better than he is right now.